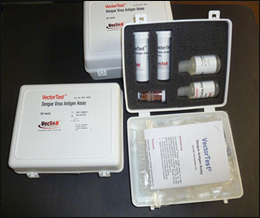 Develops and provides unique tests in the field of vector diagnostics and testing needs of diseases caused by pathogens transmitted by arthropod vectors. Diseases that are transmitted by arthropods cause severe morbidity and mortality throughout the world. 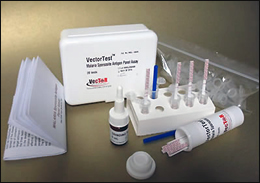 Vector diagnostics include assays which detect disease-causing agents and pathogens directly in the vectoring arthropods such as mosquitoes, sand flies, ticks and other biting insects.